The hacking group behind a series of embarrassing hacks that targeted personal email accounts of senior officials at the FBI, the CIA, and the White House, among other United States federal agencies in 2015. A member of Crackas With Attitude, who was arrested last year in September, has now been sentenced to five years in federal prison. Justin Liverman, a 25-year-old man from Morehead City, who was known under the online alias "D3F4ULT," was arrested last year along with another member of the group—Andrew Otto Boggs, 23, of North Wilkesboro, who allegedly used the handle "INCURSIO." The duo hacked into multiple government organizations between October 2015 and February 2016. Boggs was sentenced to two years in prison on June 30, 2017, for his role. Liverman pleaded guilty on January 6 this year to conspiracy to hack U.S. government computers and accounts and was sentenced to 5 years in prison on Friday. He will also be forced to pay $145,000 in restitution. According to the plea agreement, "beginning in November 2015, Liverman conspired to attempt to intimidate and harass U.S. officials and their families by gaining unauthorized access to victims’ online accounts, among other things." Hacked into the AOL email of former CIA director John Brennan and released personal details. Hacked into the personal emails and phone accounts of the former US spy chief James Clapper. Broke into the AOL email of the Ex FBI Deputy Director Mark Giuliano. The hacking group also leaked the personal details of 31,000 government agents belonging to almost 20,000 FBI agents, 9,000 Department of Homeland Security officers, and some number of DoJ staffers. According to the federal officials, the hacking group used social engineering to trick victims into revealing their account numbers, passwords, and other sensitive details, using which they gained access to their accounts. 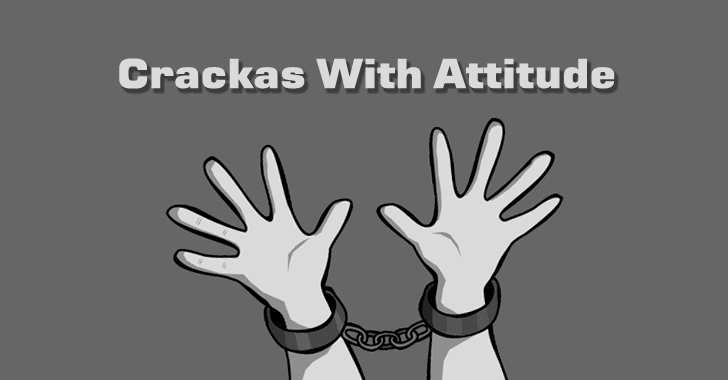 However, a 17-year-old British teenager, who is known as CRACKA and the leader of the "Crackas With Attitude" hacking group, is actually responsible for carrying out the above attacks. His prosecution is still ongoing in the United Kingdom.